One of the most common types of injury after a car accident is a back injury. These injuries tend to be very serious and can affect the victim’s ability to go back to work or even live life without pain. Here are 3 different types of back injuries that are often caused by car accidents, and what you can do if you or a loved one suffered a back injury as the result of a collision. A compression fracture is a tiny fissure or crack in the vertebrae of the spine that will eventually lead to the deterioration of the vertebrae. A vertebrae may become deformed or even collapse as the result of one or more compression fractures. This is particularly a concern for older adults who are involved in car accidents. A herniated disc is another common result of car accidents; it can be extremely painful and may require surgery. Each vertebrae is cushioned by a disc made up of a soft, spongy cartilage that protects the vertebrae and allows for movement of the spine. 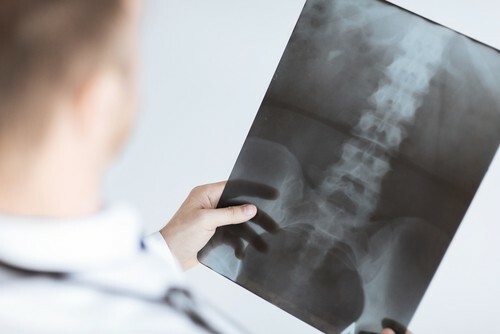 When a disc is herniated in a collision, it can cause vertebrae to rub up against each other or press on the nerves along the spine, causing significant and chronic pain. A spinal cord injury is perhaps the most severe type of back injury that can occur in a car accident. A spinal cord can be bruised, cut, or even severed completely in a car accident, cutting off the body’s ability to communicate with the brain. Victims of spinal cord injuries are often permanently disabled. The most important thing you can do after an accident is seek emergency medical care. Back injuries are sometimes difficult to detect and may take time to develop. If you decline medical treatment right after the accident, it may be more challenging to obtain compensation when you begin to notice signs that you are injured. At the Slonaker Law Firm, our attorneys are exceptionally skilled in handling back injury cases that are related to car accidents. We can help you pursue the full and fair compensation you deserve for the damages you incurred as a result of the crash. Call for a consultation to speak with an experienced attorney now at (352) 629-6656.